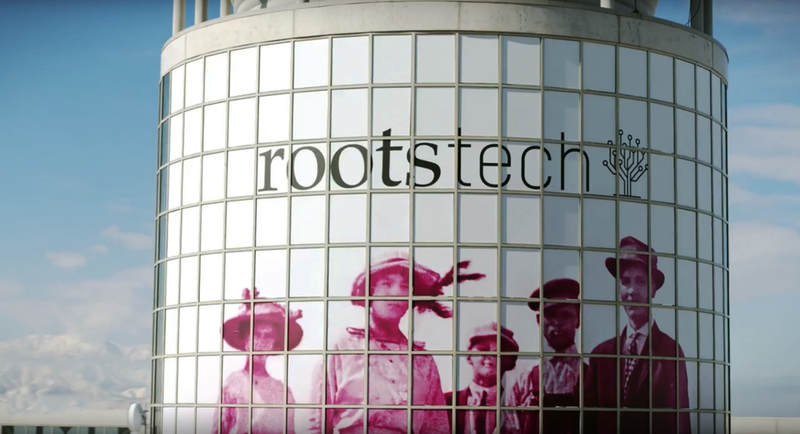 RootsTech 2019 takes place in Salt Lake City, February 27–March 2, 2019—but if you can’t make it to Utah, you can experience much of the family history conference virtually. “Discover Your Story. Discover Yourself.” So reads much of the literature promoting this year’s RootsTech conference. And while a majority of sessions focus on nitty-gritty genealogical exploration, there is plenty to learn about storytelling, family history interviews, and preservation of those stories through technology. RootsTech is billed as “a global family history event where people of all ages learn to discover, share, and celebrate their family connections across generations through technology.” And while there is much that can be experienced only at the Salt Palace Convention Center—such as the hundreds of exhibitors in the expo hall, one-on-one mentoring opportunities, and the serendipity of new connections forged through in-person meetings—the RootsTech team has provided ample opportunity for experiencing the event from the comfort of your home. A full streaming schedule for RootsTech 2019 includes a detailed list of keynote speakers (including Diahan Southard and Kenyatta Berry) as well as breakout sessions that will be made available live during the conference. Join Rebecca Whitman Koford as she discusses how the addition of social history enhances family narratives and clarifies the songs of our ancestors. She will discuss how to contextualize ancestors’ lives with social history research and use it to inspire others to want to know more about those who have passed. Kenyatta Berry will cover the tradition of jumping the broom, the informal marriage ceremony for the enslaved. Kenyatta will also share the story of her paternal ancestors in Arkansas and East Texas, as well as her methodology to uncover their pasts. In family history, it’s easy to overlook ourselves and the generations we know because we don’t feel like history! But you are a part of your family history. In this Power Hour, Curt Witcher, senior manager of the Genealogy Center, will show you why putting yourself into your family history is so important (along with the science to back it up). Amy Johnson Crow, author and host of the Generations Cafe podcast, will show you how you can include yourself without getting overwhelmed. Scott Fisher, host of the Extreme Genes radio show, will show you interview techniques to get more (and better) stories. Susan R. Miller, D. Joshua Taylor, and Frederick Wertz explore 3 key steps to unlocking the story of your immigrant ancestors with the New York Genealogical and Biographical Society. Personally, I’ll also be watching a few of the other sessions, including The Silent Language of the Stones: Reading Gravestones through Symbols and Carvings on March 2nd (ancient symbols have always intrigued me!) and, if I have time, actress Patricia Heaton’s main stage keynote. Which sessions have you placed in your own calendar? In addition to the free live streaming detailed above, RootsTech also offers a paid option for a Virtual Pass that grants access to exclusive recorded sessions on demand. The videos will be edited (not available to stream live) and accessible for one full year beginning about two weeks after the conference has ended. Considering my own recent road blocks uncovering my maternal line’s German roots, I am likely to spring for the $129 Virtual Pass; there are two breakout sessions included in the schedule that speak directly to German genealogy help. Check out the full schedule of Virtual Pass videos here. I am not affiliated with RootsTech in any way. This roundup is intended as a recommendation based on my own insights and experiences for likeminded family history storytellers.